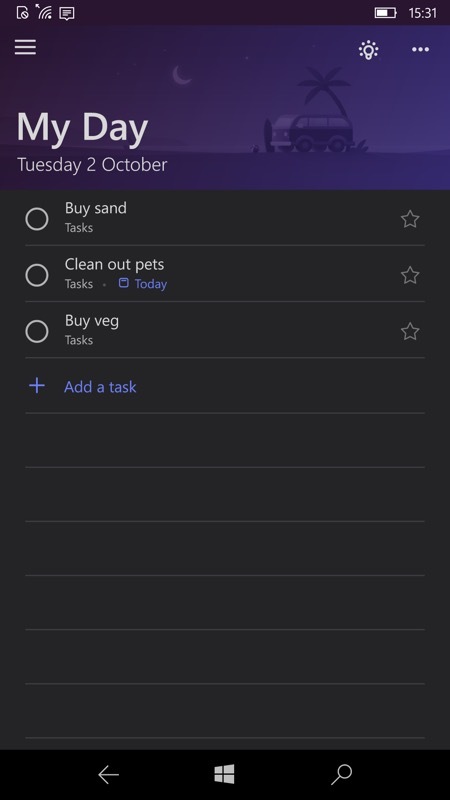 Microsoft To-Do is a fabulous UWP application for phone, tablet and desktop - and beyond. 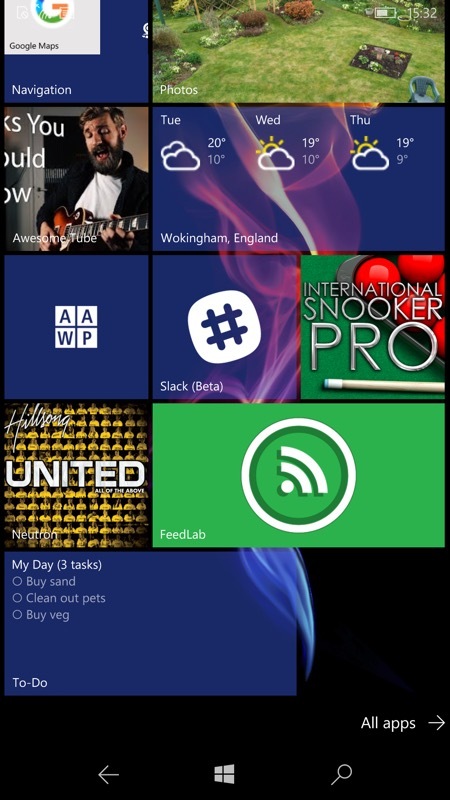 It's being updated every fortnight and today's update, v1.40.12703, brings some live tile support (finally) and background syncing so that all information on screen is always up to date on all devices. At the moment, there's only one choice for what's shown on the To-Do live tile - your tasks for 'My Day' - it doesn't currently also shown tasks which are also 'due' today - so there's some configurability definitely coming.